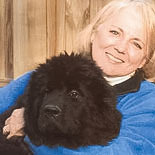 Sorry I did not post yesterday. KBJ walked into the mechanical room yesterday morning to retrieve something and lo – the water heater was leaking. I swear appliances have an expiration date with an attached timer on them! So, yesterday we researched water heaters, and I decided to change from propane gas to a super efficient electric. The propane industry is not regulated and they have been ridiculous with their price increases, so the heck with them. OK, enough on that……. 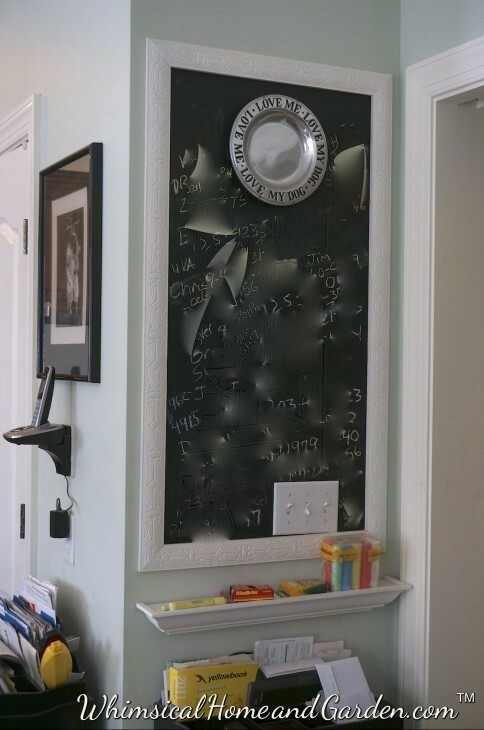 I have one chalk wall as you come into the kitchen from the garage foyer. It has phone numbers on it, is right near the phone, and is really handy. 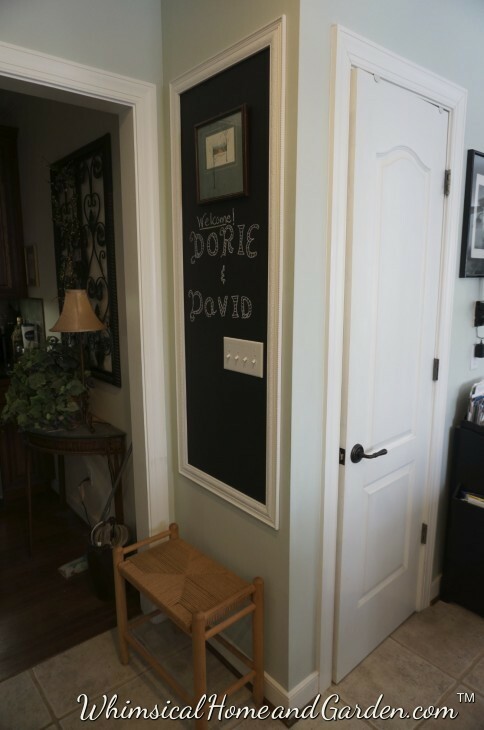 I decided I wanted another one on the other side of the kitchen, directly across from the refrigerator, that I could use to jot down needed groceries, or for anything else that struck my fancy. 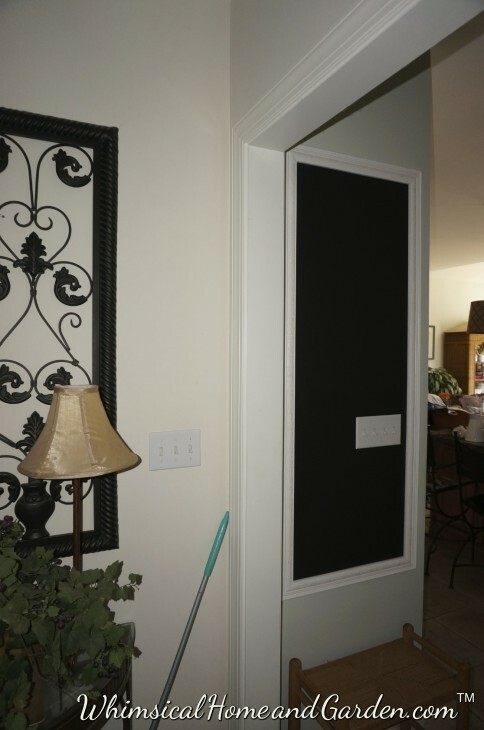 It was fairly quick and easy to do, and cost just $11 for the molding, 2 – 8ft pieces, as I already had the chalkboard paint. 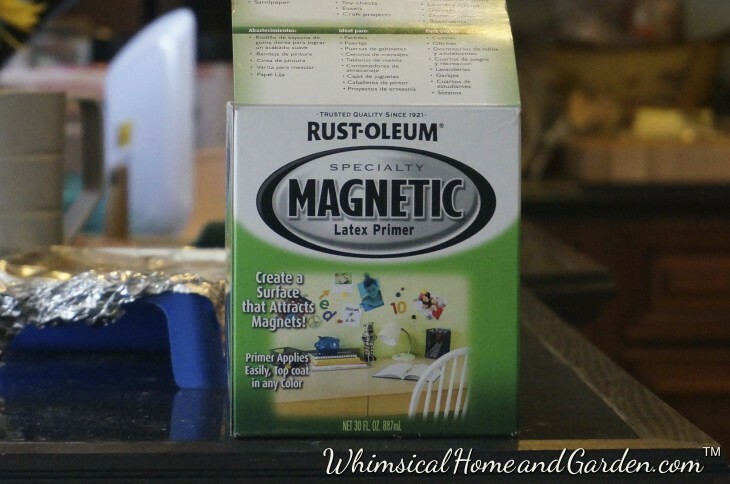 Unfortunately, I had also wanted it to be magnetic, so I bought Rustoleum Magnetic paint and did three coats. 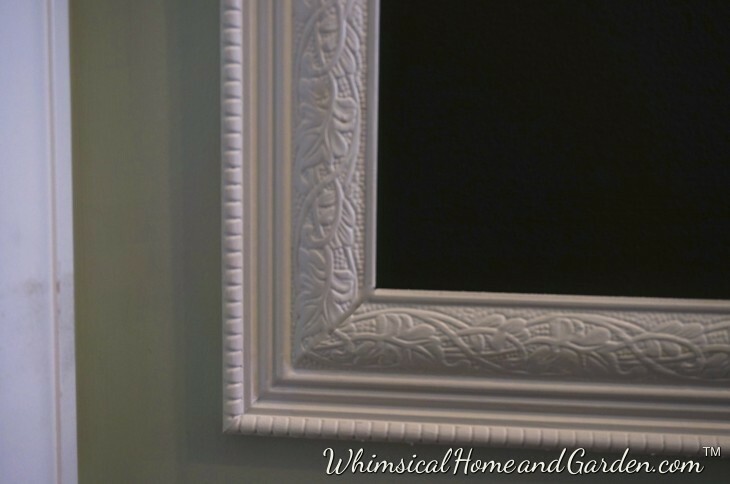 Then you can put the chalk paint or any other paint over it. After three coats, it was about as magnetic as a rubber band. I called the company’s customer service, and after I gave them the numbers off the bottom of the can they informed me that it had expired two years before. I had just bought it at Lowes! 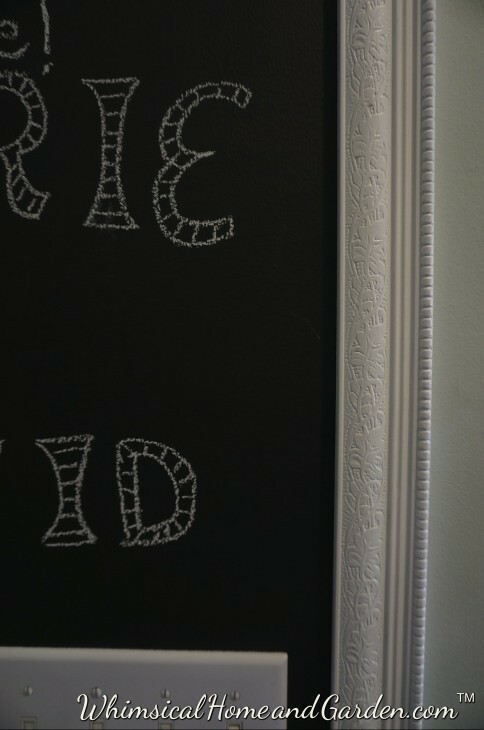 They cheerfully offered to refund my money (I haven’t gotten the refund yet), but that left me deciding to do just the chalk. 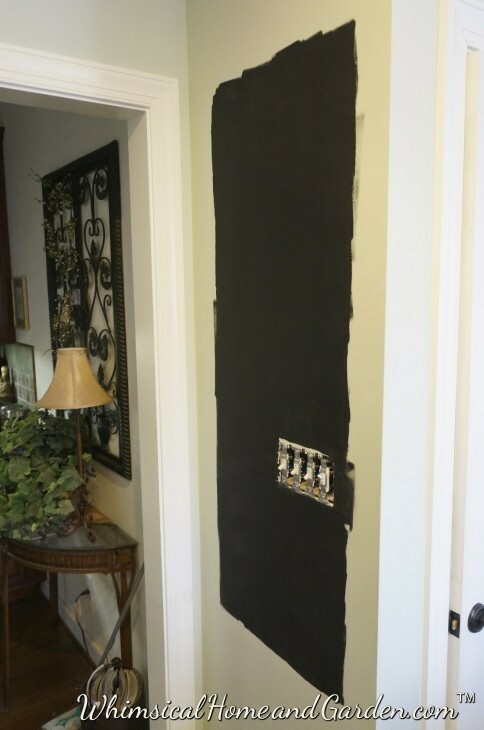 Since it was primed black with the magnetic paint, I did just two coats of the blackboard paint. As they suggest, I left it alone for a week to cure before writing on it. 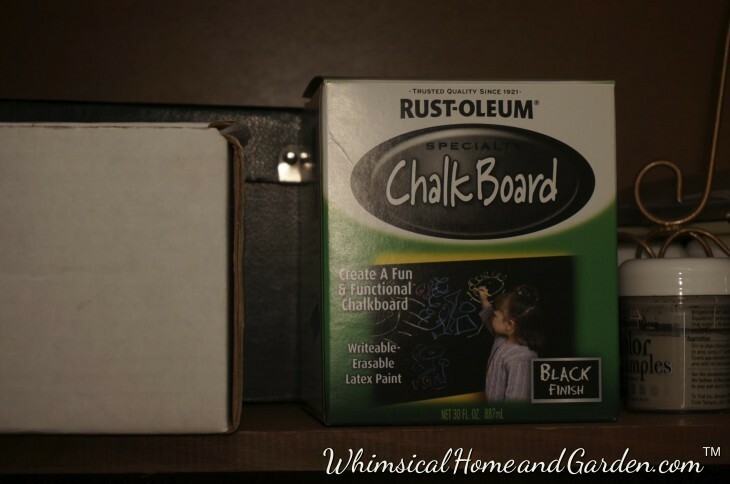 The chalkboard paint is also by Rustoleum, and works quite fine. I applied with a foam roller. One quart goes a long way. 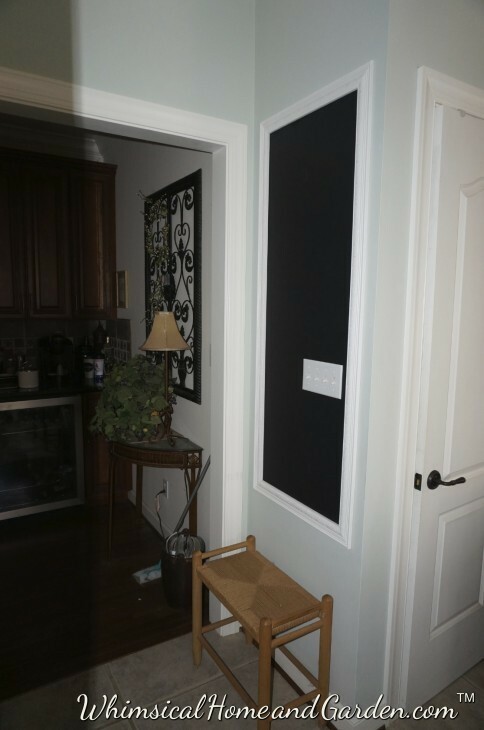 This chalkboard is on the opposite side of the kitchen. I use it for phone numbers, and the phone is right there, so makes it quite handy. pick out a nice molding. The one on the other side is discontinued, but this is very similar. 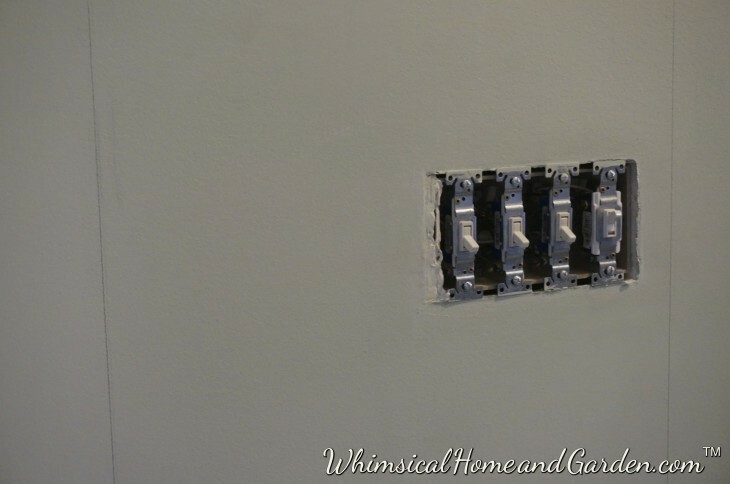 Cut to the length & width, then tape together. 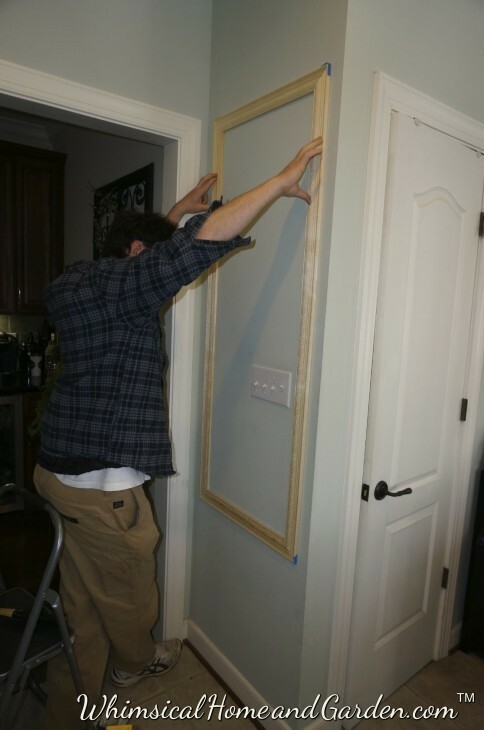 Taping it allows you to place or center it on the wall. 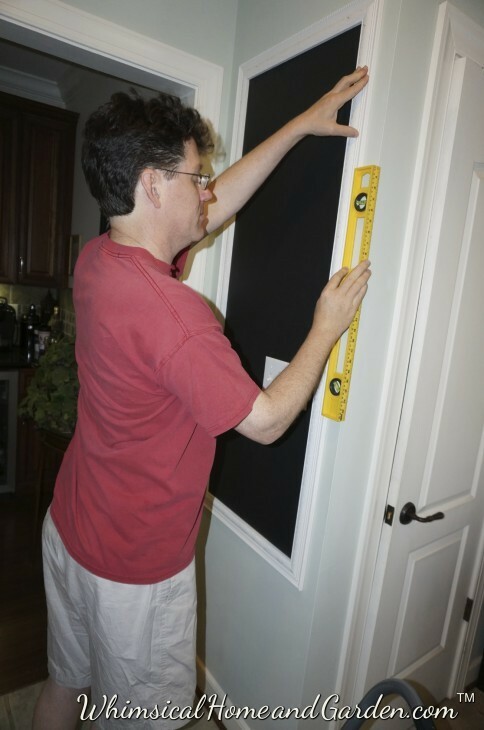 Take a pencil and outline the inside with a pencil. Now you can use this as a guideline for you paint. Paint a bit past the pencil line. 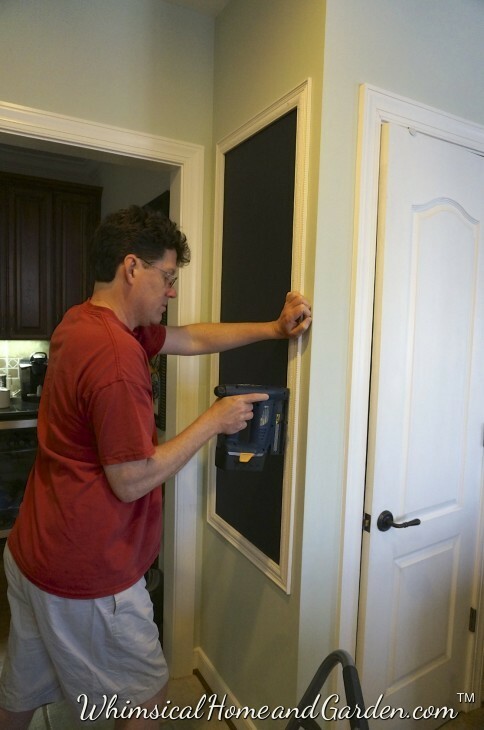 I wanted a magnetic chalkboard, but unfortunately after three coats it didn’t work. See explanation above the photos all the way at the top introduction. 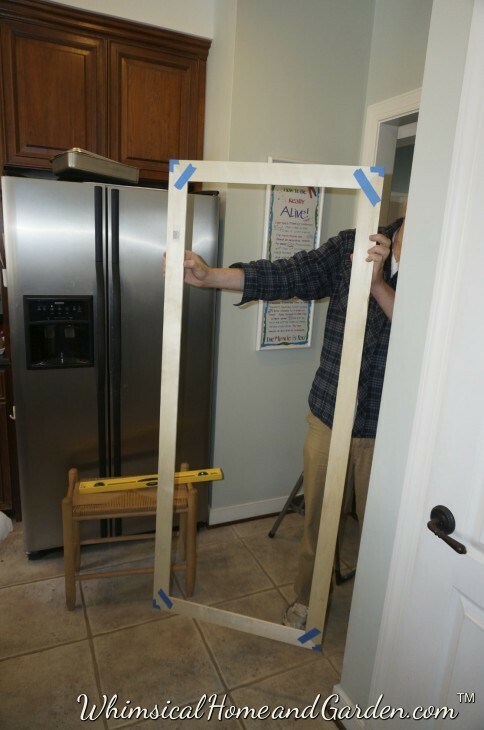 Tack the top piece in place, then use a level on the sides, tack them, and then see if the bottom piece fits. We used a brad nail gun. 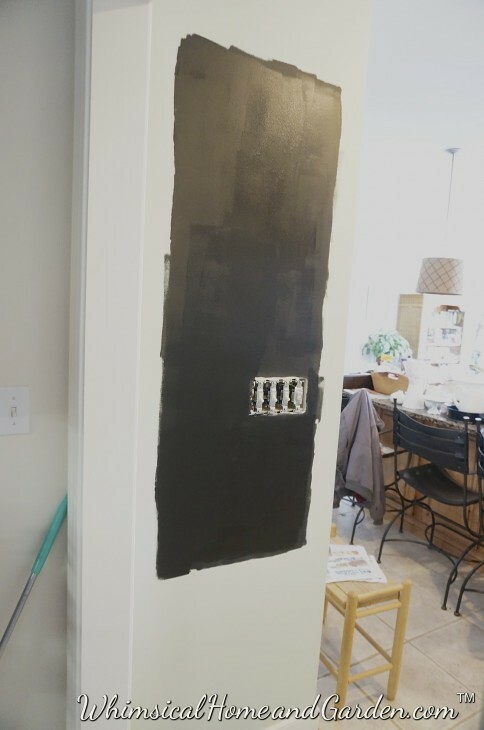 If using regular nails, go back and countersink the nails just a little, then touch up with paint. Done! This view is walking into the kitchen from the coffee/wet bar. This view is the opposite, from the kitchen thru to the coffee/wet bar. closeup of the finished corners. My dears friends are coming for a visit day after tomorrow, so thought I would welcome them! 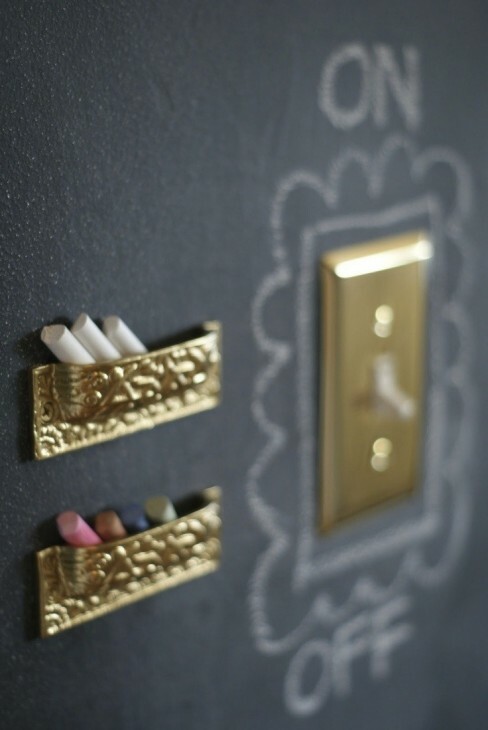 The cabinet pulls, upside down are pure genius…..love it!